Show/Tell questions Automatic and Manual Driving lessons by a Fully Qualified DSA approved Instructor in Edmonton, Enfield, Tottenham, Wood Green, palmers green, winchmore hill, chingford. As part of your driving test you will asked 2 of the questions below which are to do with vehicle safety. As these are asked at the start of your test make sure you know the answer's as getting them right would get you off to a good start. A. 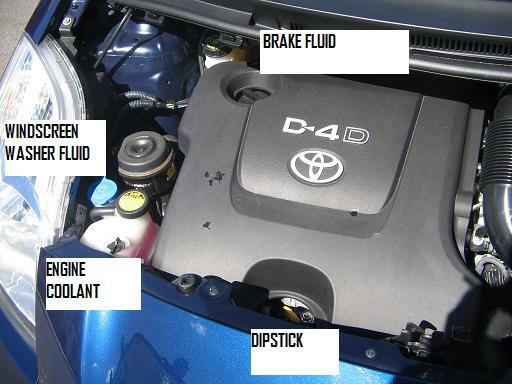 Open the bonnet and Identify the Dipstick and say " I would take the dipstick out, wipe it clean, put it back into the housing, take it out again and make sure the oil level is between minimum and maximum"
A. Tell me. " As I move off and turn the steering wheel if it is heavy to turn then the PAS isn't working correctly"
4. Show me how you would check the parking brake for excessive wear. 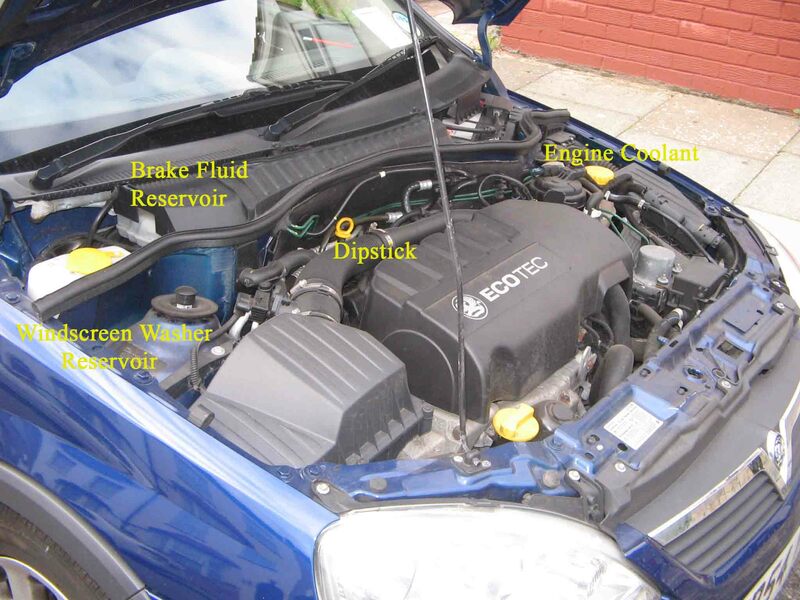 5.Identify where the windscreen washer reservoir is and tell me how you would check the windscreen washer level. A. Open the door, sit in the car, make sure the gears are in neutral, switch on the ignition, put on the indicators then walk round and check both front and rear indicator lights are working. Then put the other side on and check them too. 9.Tell me how you would check that the brake lights are working on this car. A. If the examiner wants to check the brake lights then sit in the car, make sure the gears are in neutral, switch on the ignition, and press the brake pedal and the examiner will check the brake lights. 10. Tell me how you would check that the brakes are working before starting a journey. A. "As I move away I would apply the brakes, if they feel soft or spongy or the car pulls to one side then I would get them checked"
11. Show me how you would check that the headlights & tail lights are working. A " I would find the information in the users handbook, When the tyre's are cold I would remove the dust cap, use a reliable tyre pressure gauge, check the pressure and if it is ok I would put the dust cap back on. Not forgetting to check the spare"
13. Tell me how you would check the tyre's to ensure that they have sufficient tread depth and that their general condition is safe to use on the road. A. "I would check the tyre's for cuts and bulges and the tread has to be a minimum of 1.6mm across the middle three quarters and all the way round the tyre"
14. Show me how you would check the indictor bulbs are working? 15. Tell me how you make sure the head restraint is correctly adjusted so it provides best protection in the event of an accident? A. The head restraint should be adjusted so that the rigid part of the head restraint is at least as high eyes or top of the ears and as close to the back of the head as is comfortable. some restraints aren't adjustable. 16. Show me how you would clean the windscreen using the windscreen washer and wipers. A. Turn on ignition and operate control to wash and wipe windscreen. Pull Wiper stick towards you to wash front screen and push stick away from you to wash rear screen. 17. Show me how you would set the demister controls to clear both the front and rear windscreens. A. Set relevant controls for front and rear. Do not start the engine to demonstrate. 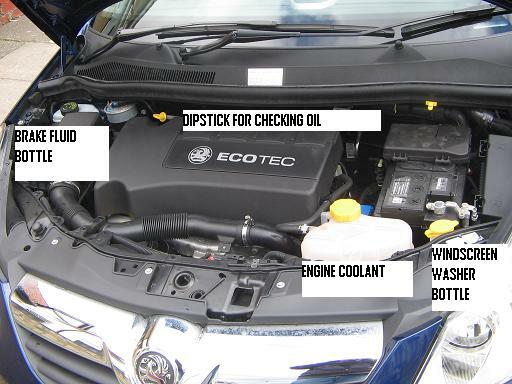 Push button to demist the rear screen and set Heat control, set fan and set air flow to front screen. 18. Show me how you would switch on the rear fog lights and how you would use them. You MUST use headlights when visibility is seriously reduced, generally when you cannot see for more than 100 meters (328 feet). You may also use front or rear fog lights but you MUST switch them off when visibility improves. If left on they will dazzle the following driver and you could be fined by the police. A. The ABS warning light and icon should illuminate on display panel if there is a fault with the ABS. 20. Tell me how you would check the head lights and tail lights are working. Do not exit the vehicle. A. Turn on headlights and tail lights and walk round the car and check the all lights are working. 21. Show me how you would switch from main beam to full beam and explain how you would know main beam is on whilst your sitting in the car. When you book with Driveabout School of motoring we provide manual or automatic driving lessons by very competent Driving instructors in the following areas Edmonton, Enfield, Tottenham, palmers green, barnet, cockfosters, winchmore hill, chingford, Wood Green, southgate, Waltham abbey, waltham cross, cheshunt, Goffs Oak. When you book with Driveabout School of motoring You will be taught by one of our Driving Instructors from our driving school to a very high standard to enable you to have the best chance possible of passing your manual or automatic Driving test. Our instructors will pick you up from home in these areas Edmonton, Enfield, Tottenham, palmers green, barnet, cockfosters, winchmore hill, chingford, Wood Green, southgate, Waltham abbey, waltham cross, cheshunt, Goffs Oak and drop you back home when you lesson is finished. Depending where you test is will determine which of these areas Edmonton, Enfield, Tottenham, palmers green, barnet, cockfosters, winchmore hill, chingford, Wood Green, southgate, Waltham abbey, waltham cross, cheshunt, Goffs Oak your manual or automatic Driving lessons will be concentrated in but, we do not stick to one area. To enable our driving instructors to teach you all aspects of manual or automatic driving we could use any of these areas Edmonton, Enfield, Tottenham, palmers green, barnet, cockfosters, winchmore hill, chingford, Wood Green, southgate, Waltham abbey, waltham cross, cheshunt, Goffs Oak plus more. As a driving School we use these test centers we user are Enfield, Wood Green, Chingford, Barnet, Boreham Wood and sometimes Loughton and Wanstead too but would consider other driving test center too. When you book with Driveabout School of motoring part of our Driving School policy will help you with your theory test. You don't need to have done your theory test before you start your manual or automatic driving lessons. Our instructor will advise you as to what materials you need to study for you theory test and as part of your driving lesson you will be asked certain question by our driving instructors regarding you theory test. As a driving school we concentrate our driving lessons in these areas Edmonton, Enfield, Tottenham, palmers green, barnet, cockfosters, winchmore hill, chingford, Wood Green, southgate, Waltham abbey, waltham cross, cheshunt, Goffs Oak because our driving instructors know these areas well and can take you through the “local knowledge” required to help you pass your test. When you have passed your manual or automatic driving test we also provide manual or automatic pass plus training from these areas Edmonton, Enfield, Tottenham, palmers green, barnet, cockfosters, winchmore hill, chingford, Wood Green, southgate, Waltham abbey, waltham cross, cheshunt, Goffs Oak and motorway training. If you qualify you could get 70.00 cash back from Transport for London once you have completed your manual or automatic pass plus course. During you manual or automatic Pass Plus course more time will be spent on motorway driving as this will normally play a big part in most of our lives. When you have completed your manual or automatic Pass Plus course you will receive a certificate from the DSA as proof of having passed your pass plus course. At Driveabout School of Motoring you will be handout with the current manual or automatic Show me Tell me Question. Before you attempt you manual or automatic driving test you will be asked 2 show me tell me question out of a bank of 21 show me tell me question. Our instructors will go through these question during your lessons so that you will be fully competent and be able to answer the questions ask before your manual or automatic driving test. At Driveabout School of Motoring we believe in giving value for money. Cheap isn't always best. Our prices are very competitive and when you book with Driveabout School of Motoring we will endeavor to give you your monies worth. Cheap isn't always best, remember that.